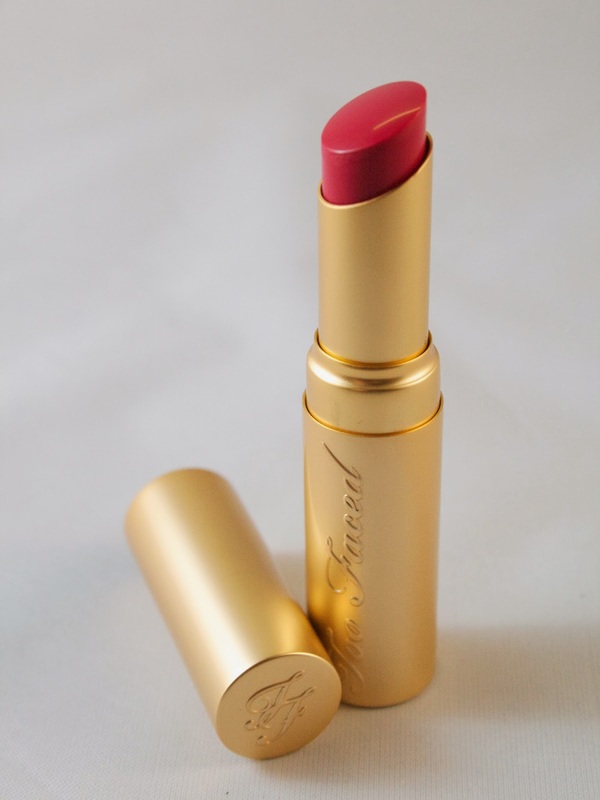 Too Faced released their line of La Crème Lipsticks back in the summer of 2012, initially offering 20 shades. Despite the rave reviews that these hydrating, creamy lipsticks received, I never ventured to try them out. 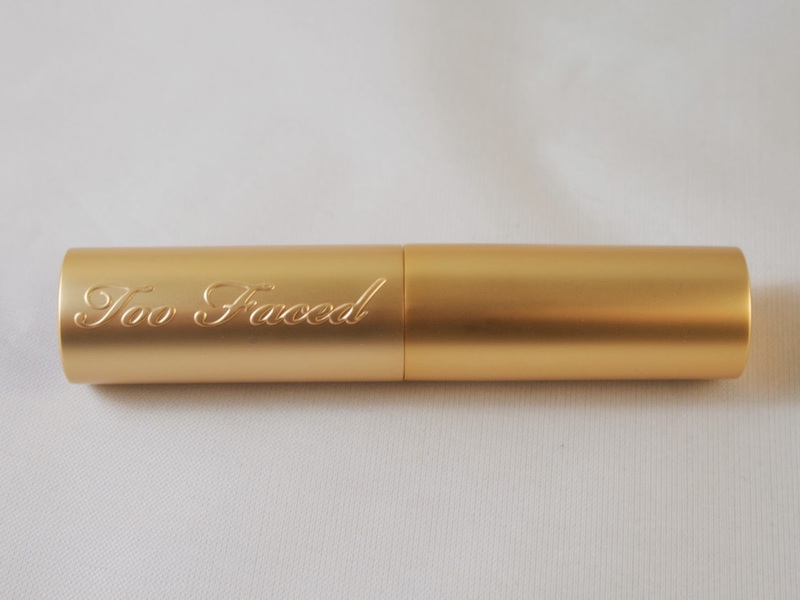 More recently, Too Faced added five shades to this line for Spring 2014 and this time, they caught my eye! After going back and forth a bit, I settled on picking up Jelly Bean, a beautiful raspberry shade. 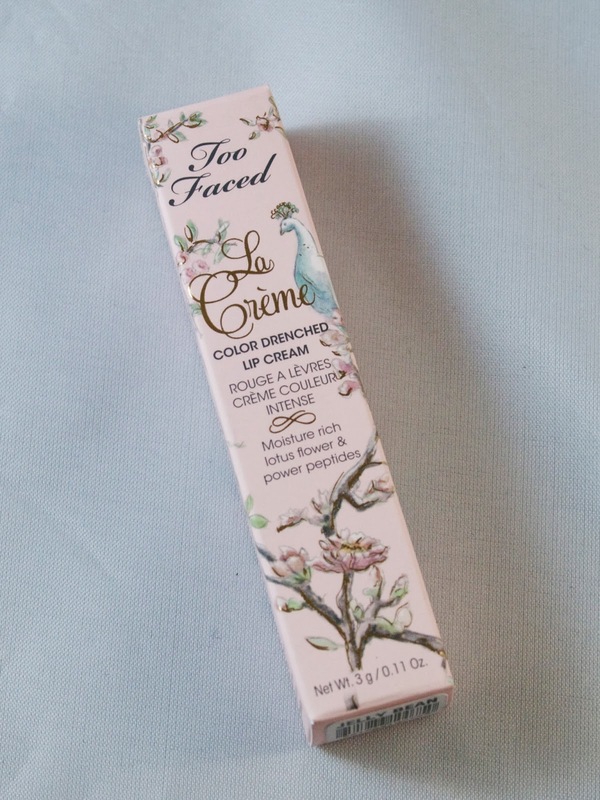 Like all of Too Faced's products, the La Crème lipsticks come in über feminine packaging. 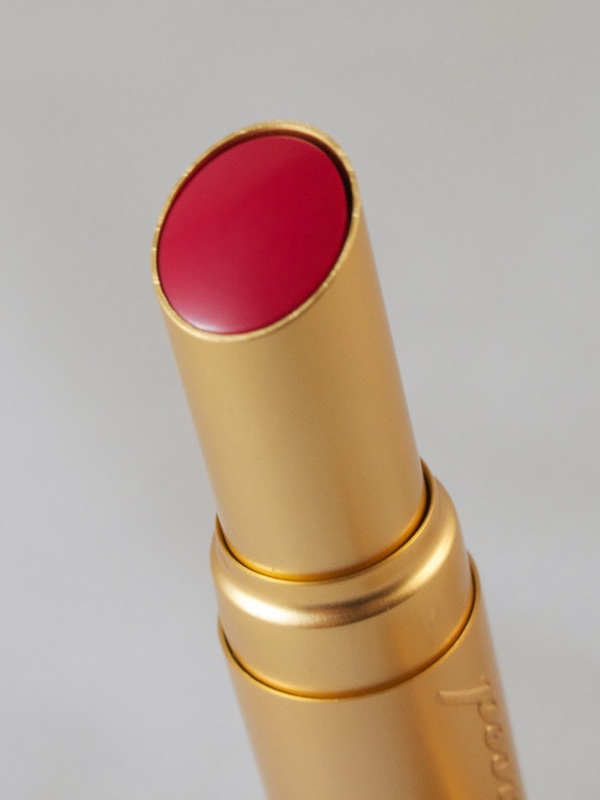 The lipstick itself is encased in stylish gold packaging, but it is what is inside that is the true star. The La Crème formula is a dream--Jelly Bean is pigmented, with a glossy sheen to it, yet it's hydrating and feels great on the lips. 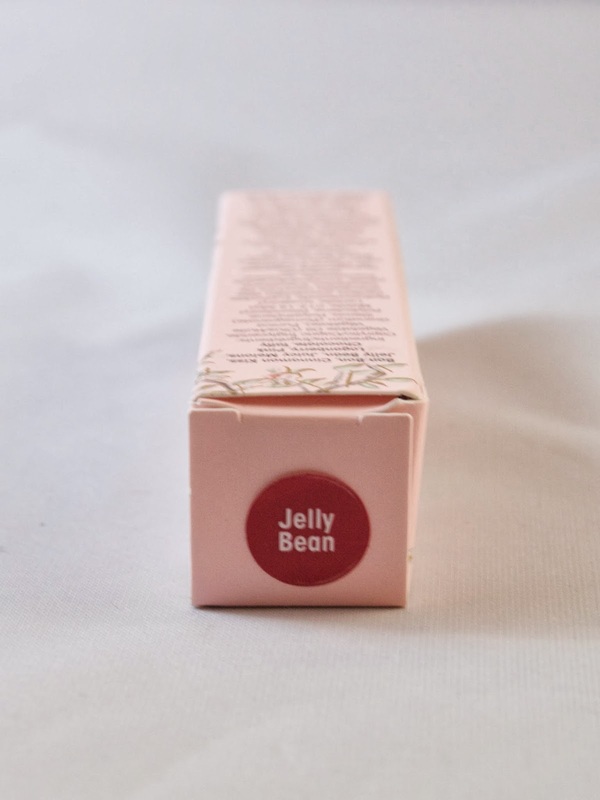 Jelly Bean is a beautiful shade, one that I can see transitioning seamlessly from winter into spring and summer. 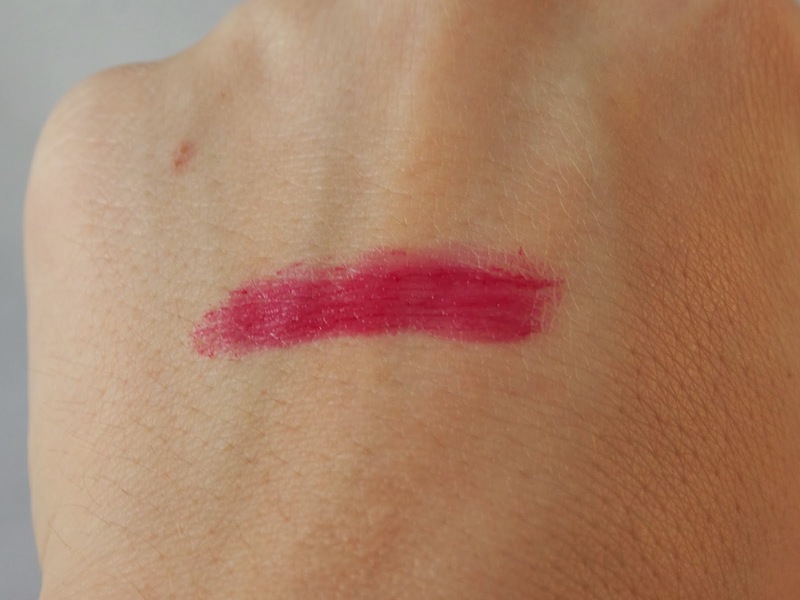 Although it is described as a raspberry shade, it is not overly cool (as I find many 'raspberry' lipsticks to be). It applies easily and despite being a bright shade, I didn't need a lip liner with it. 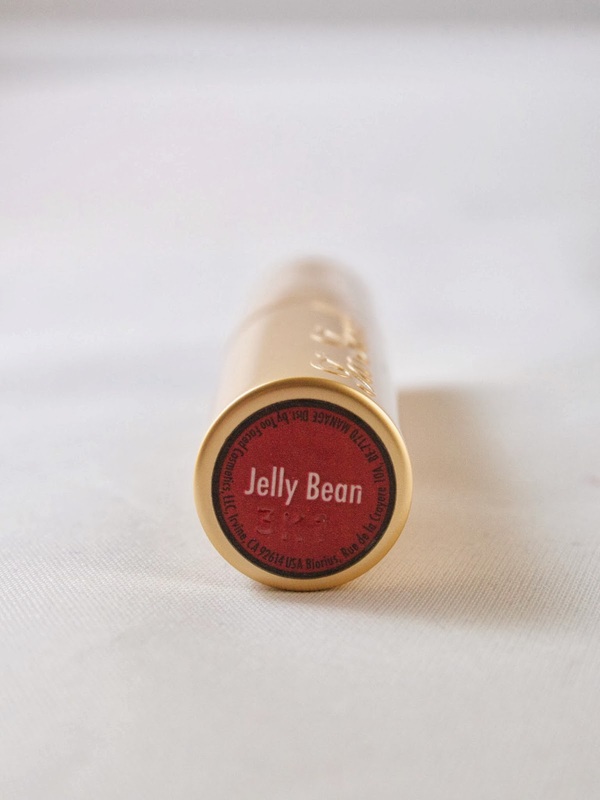 Jelly Bean is my first La Crème lipstick, but I can say with 100% confidence that it will not be my last. If you suffer from dry lips, this is the perfect product for you. The creamy, glossy finish will hide any flakiness or lines on your lips and, unlike many similar products (Revlon Lip Butters, I'm looking at you! ), it will actually leave your lips feeling more moisturized after wearing. 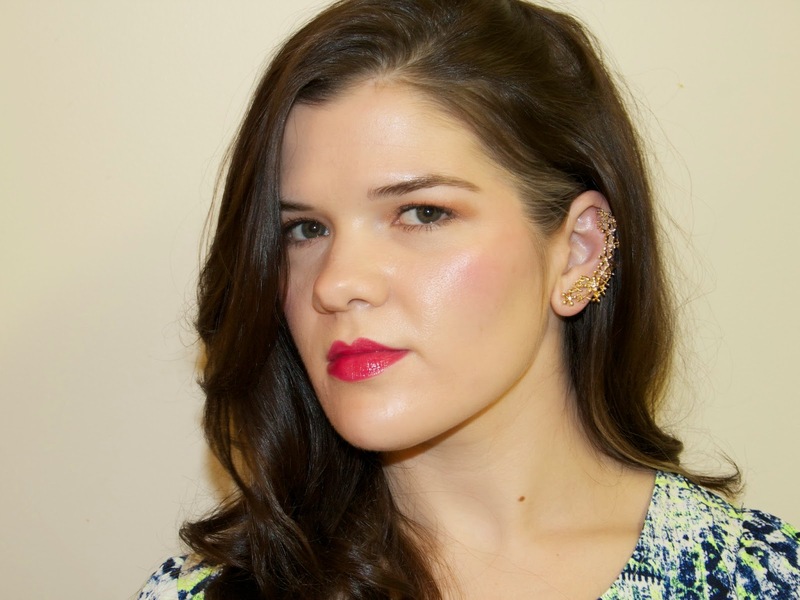 The idea of a buttery, creamy lipstick with a gloss-like finish to it is certainly not new. The market has been inundated with them over the past few years. But out of all of the ones I've tried, this is hands down my favorite. 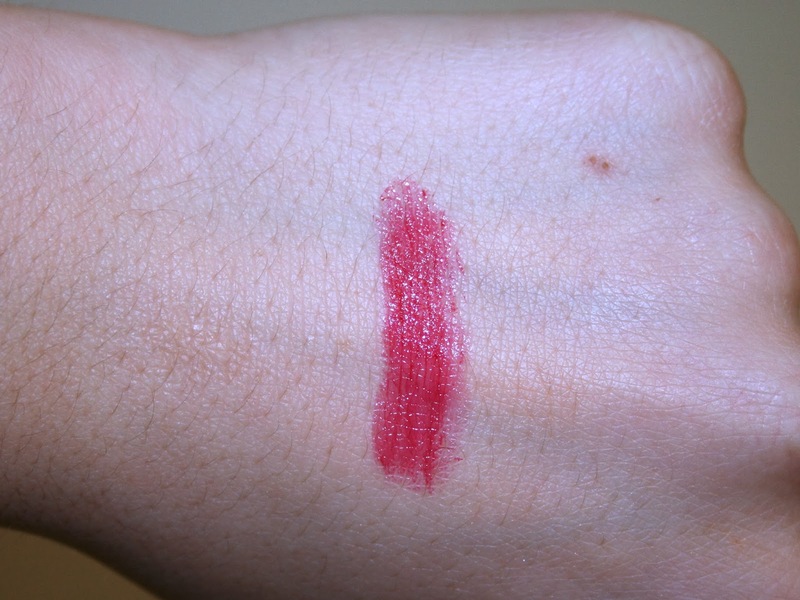 The pigmentation is outstanding and it really feels great on the lips. I find that the wear time on a glossy/shiny lip is never as long as on a matte product, but that just comes with the territory. Jelly Bean did last a good few hours on me, though, and touch ups are easy with this formula. What lip products are you loving at the moment? Have you tried any shades from the La Crème line? Follow me on Bloglovin', Twitter and Instagram!